From Budapest to Amsterdam, and many exciting stops along the way, you’ll be immersed in the culture of Central Europe in a unique way on this timeless river cruise vacation. Your river cruise adventure begins with visits to three of Europe’s vibrant capital cities: Budapest in Hungary, Bratislava in Slovakia and Vienna in Austria. A local guide will show you the must-see sites in each city and you’ll have plenty of time to explore on your own. See the famous Heroes’ Square in Budapest, stroll through Bratislava’s Old Town with its winding streets and bronze sculptures, and stop in a classic Viennese cafe for a decadent treat. 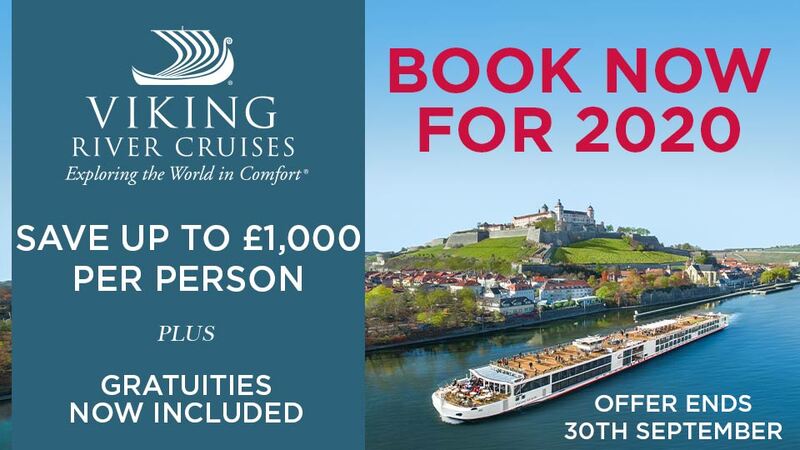 Sail through the picturesque Wachau Valley and the dramatic Rhine Gorge. Visit Melk’s magnificent Benedictine Abbey and Würzburg’s Baroque Bishop’s Residenz. Enjoy a tasting of Wachau wines. Explore quaint towns like Dürnstein with its blue and white Baroque Stiftskirche; Passau, known for its narrow cobbled streets and stunning St Stephen’s Cathedral; and Bamberg, with its town hall straddling the River Regnitz. Enjoy guided walks in historic Nuremberg, Würzburg, and Regensburg—one of Germany’s best-preserved medieval cities. In the charming Rhine Valley town of Rüdesheim, enjoy a stroll through its famous cobbled Drosselgasse that's lined with shops, restaurants, and lively taverns. Straddling both sides of the Rhine River is Cologne, Germany—a 2,000 year-old city known for its Gothic architecture. Here, enjoy a guided walk and see its famous twin-spired cathedral. This European river cruise would not be complete without a visit to Holland’s lively capital of Amsterdam. See the treasures of this 700-year-old city from a unique perspective—on a canal cruise along the elegant Grachten. Your European cruise from Budapest to Amsterdam is filled with new discoveries and simple pleasures of ancient cultures that you’ll hold in your memory for many years to come. Fly to Budapest where you will be met and transferred to your cruise ship for 14 nights. This afternoon, meet your crew at a welcome reception. The afternoon is free to enjoy Budapest on your own. Be sure to savour a piece of cream cake in the world-famous Gerbeaud Café, consider a scenic hike in the hills above the Danube, or a visit to one of Budapest’s world-famous thermal baths. Classic Excursion: Enjoy a guided city sightseeing tour, including the iconic Heroes’ Square. In your free time take a bicycle and a picnic from the ship to explore the local sights along the Danube. Later, enjoy live entertainment onboard. Classic Excursion: Join a guided sightseeing tour from the Old Town’s cobbled streets to the Town Hall. Visit the Gothic halls of St Martin’s Cathedral—the Kingdom of Hungary’s centuries-old coronation church. 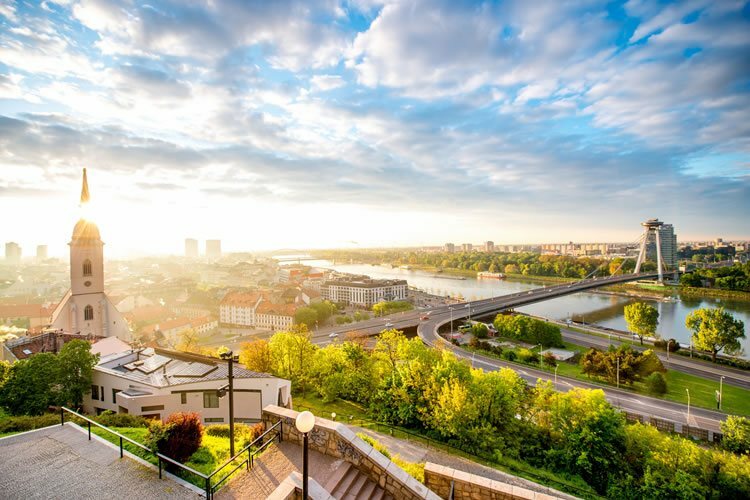 Active Excursion: Follow your Avalon Adventure Host on a hike to lofty Bratislava Castle. Join a guided optional excursion to Schönbrunn Palace—the Habsburg empire summer home for 300 years. You may also take a tram to Austria’s Prater amusement park or to one of the many museums nearby. Consider joining an Optional Excursion to attend Royal Waltz Concert in an elegant hall. Classic Excursion: Step into the legendary Habsburg Empire with a morning Guided City Tour of Vienna’s gilded landmarks. See the Imperial Palace complex—the winter residence of the Imperial Family, the historic Vienna Opera House and stunning St Stephen’s Cathedral. Classic Excursion: Join a guided walk, and hear the legendary tale of King Richard the Lionheart—who was imprisoned in the castle above the village during the Crusades. Active Discovery: Take a guided hike up to the castle ruins to take in the spectacular view of the village, Danube, and the Wachau Valley below. Discovery Excursion: Later, enjoy a Wine Tasting on board as you prepare to sail to Passau. You may join a Guided Optional Excursion to the Benedictine Monastery in Weltenburg. Spend a free afternoon exploring Regensburg on foot or by bike through its charming streets. This evening, enjoy live entertainment after dinner as you cruise toward Roth. Classic Excursion: Join a Guided City Walk and see the Altes Rathaus (Old Town Hall) and Porta Pretoria—built in 179 CE as the entrance to Castra Regina fortress. Tonight, relax on board with live entertainment as you sail to Bamberg. Classic Excursion: Enjoy a guided sightseeing tour of the Bavarian town of Roth—with its half-timbered houses, market square, and 1535 hunting lodge, Schloss Ratibor, or, a guided tour of Nuremberg’s medieval architecture, gilded fountain, Gothic cathedral, and Kaiserburg Castle, or, join a guided tour of the historic Nuremberg Rally Grounds—used by the Third Reich. Discovery Excursion: While sailing to Roth, enjoy an onboard Lecture about the Main-Danube Canal—linking these two rivers to make a vital connection enabling navigation between the North and Black Seas. Enjoy live entertainment on board while sailing this evening. Classic Excursion: Take a guided walking tour of the former home to imperial dynasties, and see its Romanesque cathedral, Old Town Hall, and seven hills crowned with churches. In your free time you may explore the city or enjoy a smoked beer. Later, enjoy onboard entertainment. Classic Excursion: Take a guided sightseeing tour of the “Pearl of the Romantic Road” with its Old Main Bridge, towering fortress, and baroque Bishop’s Residenz—with the largest known ceiling fresco. Start the day with a Morning Stretch with your Avalon Adventure Host. Spend free time riding a bike through the beautiful villages on the Main river shores. Later, enjoy onboard entertainment as you cruise to Rüdesheim. Classic Excursion: Join a guided walking tour of a picturesque Main river village. This afternoon cruise through the dramatic Rhine Gorge and see the famous rock of The Lorelei—where the mythological siren lured ill-fated sailors to shore. Active Excursion: Take a hike up to the Niederwald Monument with your Avalon Adventure Host. Discovery Excursion: Tour the incredible Mechanical Music Museum for a one-of-a-kind instrumental experience. Start the day with a Morning Stretch with your Avalon Adventure Host. Don’t miss the chance to enjoy free time over a glass of Kölsch pale lager—locally brewed for over 100 years! Classic Excursion: Take a Guided City Walk of Cologne—explore the Old City and see its soaring twin-steepled Gothic cathedral. Discovery Excursion: Join a guided walking tour of Cologne’s important Jewish heritage sites. Spend free time on your own to explore the colourful cafes, galleries, bridges, and canals of Amsterdam. Disembark and transfer to the airport for your flight to the UK. 14 nights deluxe accommodation in a spacious stateroom with Avalon's exclusive Comfort Collection® style beds, en-suite facilities and river views. 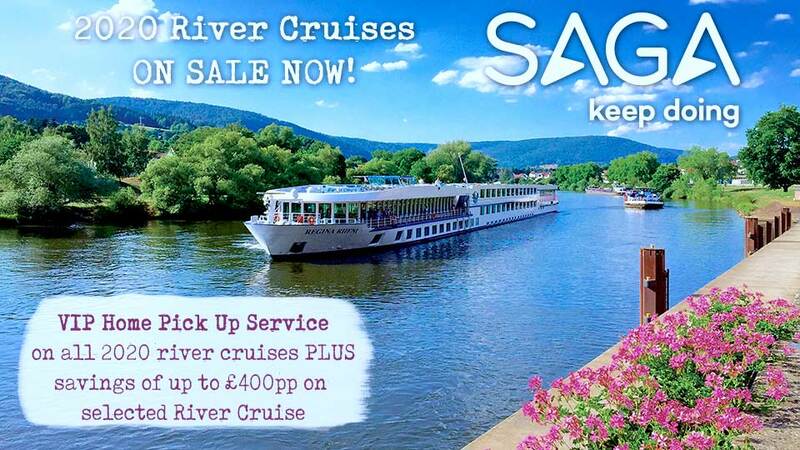 All meals on board including full breakfast , buffet lunch and waiter service evening meal; afternoon tea with cakes and sweet treats; midnight snack, choice of premium teas and coffees & soft drinks throughout the day. Wine and beer is included with lunch and dinner.